At the California Transportation Commission's Feb. 28 meeting, the Santa Barbara County Association of Governments received both good and bad news for its roadway funding requests. 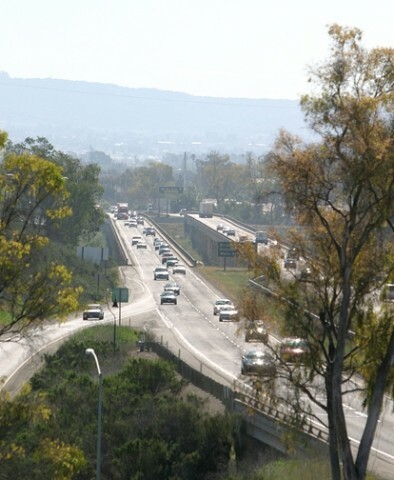 The commission approved funding to widen Highway 101 between Santa Barbara and Ventura counties, but it turned down SBCAG's request to widen the Santa Maria River Bridge that links Santa Barbara and San Luis Obispo counties, sending a reverberation of disappointed sighs throughout the area. A DRY RIVER RUNS UNDER IT : The California Transportation Commission denied a request to set aside some Proposition 1B funding to widen the Santa Maria River Bridge the main route between San Luis Obispo and Santa Barbara counties. Preparation for bridge construction, however, will continue on schedule, in case funds become available in the future. # "It's simply unfair that large population centers like Los Angeles continually receive priority. These bonds are statewide and should be distributed to all areas of the state," Sen. Abel Maldonado (R-Santa Maria) said in a release. The commission committed $4.5 billion to roadway projects throughout the state, using money originally proposed to widen the Santa Maria River Bridge to fund other congestion relief projects in San Diego, Orange, and Riverside counties. The projects will be funded through Proposition 1B, a bond measure passed by voters last November. In response to its staff's original proposal to give much of the bond money generated through Proposition 1B to rural areas, the commission faced criticism from the governor as well as politicians and officials from urban areas who said their needs were more urgent. SBCAG, Caltrans, and the San Luis Obispo Council of Governments had requested $58.5 million from the commission to widen the Santa Maria River bridge to three lanes in both directions. Jim Kemp, SBCAG executive director, said that without the bridge widening, the completion of the Highway 101 widening project in Santa Maria currently underway will create a bottleneck, as drivers merge from a six-lane freeway to the four lanes as they cross to San Luis Obispo County from the south. Having attended the nine-member commission's recent meeting, Kemp noted that commissioners' initial comments indicated that urban projects were a higher priority than rural ones. Still, he also said that it was inevitable that some projects would be cut. There were $11.3 billion in projects nominated for funding, and only $4.5 billion available. Kemp said that the deletion of the Santa Maria River Bridge project helped other projects in the south, such as the carpool lanes on Interstate 405 in Los Angeles County. However, the state may still fund the bridge in the future, Kemp said. Preparation for bridge construction will continue on schedule so that if any of the approved projects fall through, SBCAG will be able to present the commission with a viable alternative. The approved projects are required to be under construction by the end of 2012, and Kemp said the bridge construction is on schedule to begin in 2009.